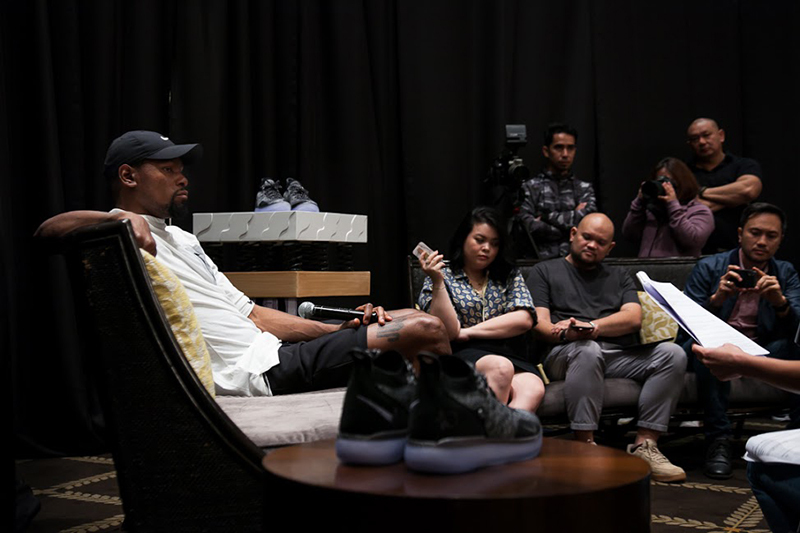 We’ve been a couple of days removed from Kevin Durant’s whirlwind visit to Manila and there’s so much to take in from that brief 48 hour visit. 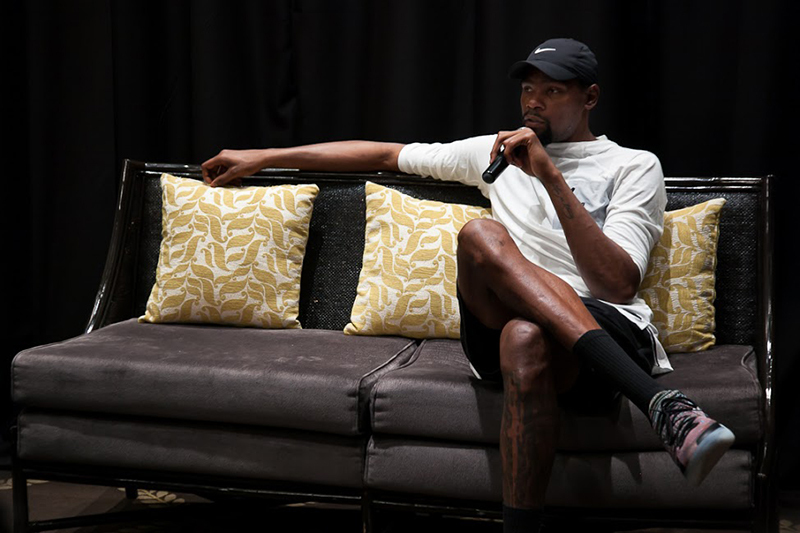 Along with a select group of media outlets, we were able to sit down with Kevin Durant the morning after. Being one of the best players in the game, you’d think he would treat this session as just one of those you see on TV. Durant was pretty accommodating and answered our questions as candid as possible. Q: You used to carry a backpack, what was in the bag and what makes it so personal to you? 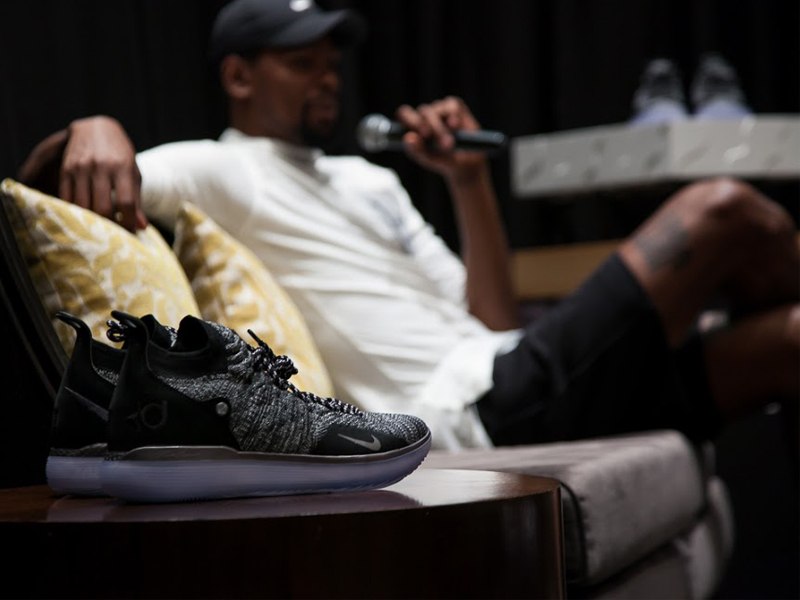 Kevin Durant: It was anything you would see in a bag, from shoes, to cellphones, to books, to anything. I wasn’t trying to do anything, it just organically happened and took a life of its own. Q: What are your biggest passions in life? Any inspirations in your life/career and why? 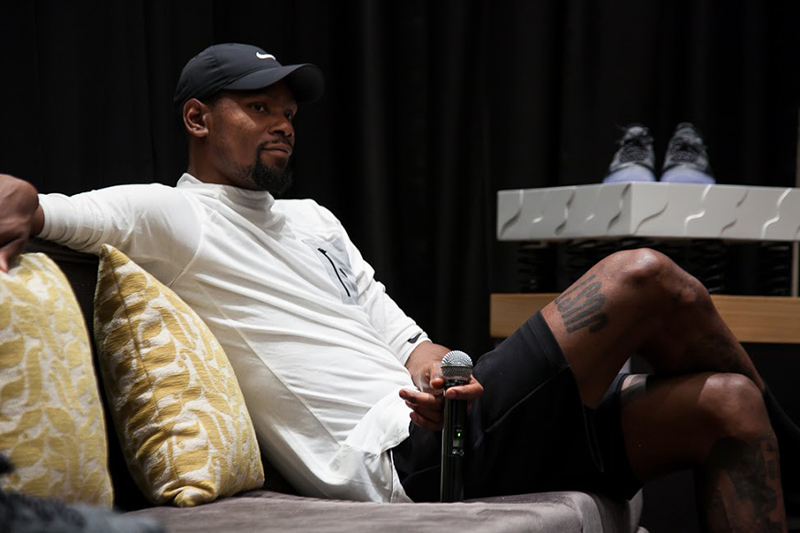 KD: I love people, music, basketball, just life in general. I’m just inspired by people on the daily, no matter what field they are in; to get up and grind, and go to work every single day and try to do something bigger than themselves. I’m really inspired by hip-hop artists, music really does something for me, inspired by the creative place these people are in, it in turn makes me want to be better. Q: How about the people in your life who are inspirations to you? KD: I got people everyday that are important to me and we sharpen each other up; just having good people in my life that understand me and understand what life is about; we just have great conversations and it makes me a better player when I’m on the court, an even better man when I’m off it. Q: Is there an area of your game that you think can still be better at and how are you working on it? KD: I feel I could be better at every part of it, just constantly thinking about the game, constantly figuring out different ways to be effective. When I’m physically back into the game, it becomes easier when my mind is into it. Just trying to focus on every part of my game, trying to be as well rounded as possible. Q: Were you always as focused and tenacious as a kid? KD: Yeah, I was always fueled by people telling me I couldn’t do stuff. That lit the competitive fire in me. My brothers and older cousins kept telling me I couldn’t do anything and that’s what started it. I just wanted to beat them in whatever it was. Basketball was the thing I picked up and poured that type of emotion into and it came through at the perfect time. Q: In helping the victims of the tragedy in Oklahoma, sending underprivileged kids to school, donating millions to your KD foundation- what motivates you to do these things? KD: I just love that we get a huge opportunity to inspire and give back to the less fortunate. Just to be there for the city in times of tragedy and be there for a group of people that really need it, it makes me feel good and so fulfilled. It was one of the best moments I had in my career and I would’ve never thought that it would be one of them. You get to help so many people just by your presence and also giving what you can, financially. Q: So far you’re journey has been so inspiring, especially the people in the Philippines. Not every athlete gets these many signature shoes. You’re now on your 11th with Nike, what do you think makes this relationship so easy and comfortable? 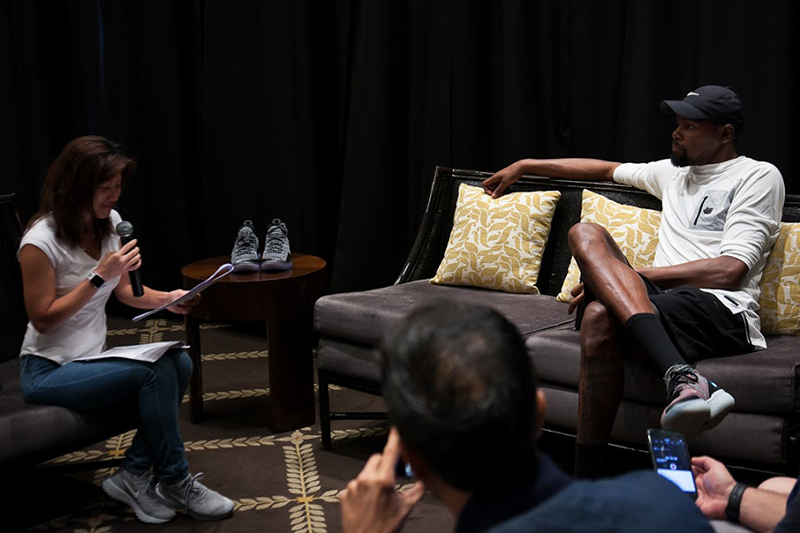 KD: I was wearing Nike since I was 15 and I just feel a connection with the brand, just like any person who would only wear Nikes. There aren’t a lot of athletes that only wear Nike. 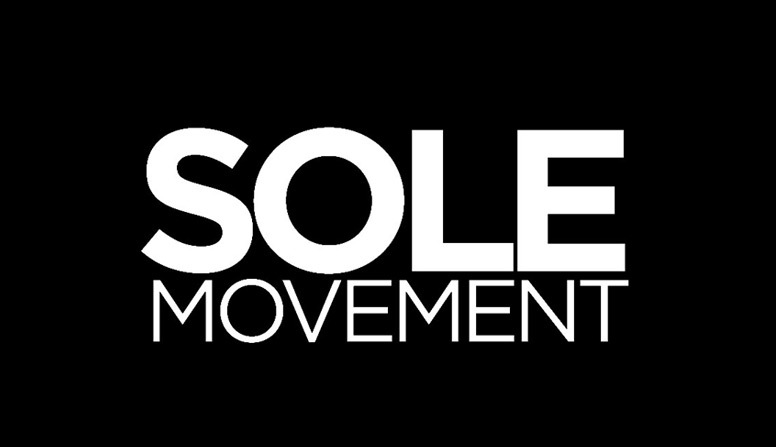 I just think it’s a brand support I have for Nike ever since I was a kid, to be able to have my own signature shoe with them is like a dream come true. You know you really work your way from the bottom and the pinnacle is where we are right now. I always felt like I was a part of Nike even when I was just starting to play. Q: You’ve got an amazing relationship with Leo Chang. How is the banter between the two of you, out of curiosity? KD: Leo’s always in his creative space, always thinking about different ways to push the brand forward. We send texts, emails, sit down and go through some stuff throughout the year, to make the KD line better. We have this whole process, so every year, it comes full circle with things and it’s been pretty cool. Q: You have worked with Leo Chang since KD1, what makes this rapport with your designer stand out and why do you think it brings out the best in the product? KD: I think we just relate to each other. We understand how hard it is to do what we do, the pressure of just wanting to be really great everyday. Leo’s had that same drive and he’s really innovative. I trust him, he trusts me and over time, we just built a nice rapport and it’s come through some great shoes. Hopefully we keep moving forward, keep doing great things. Q: We know you still have plenty of basketball left in you and we’re pretty sure that there’ll be more championships coming your way. But what do you want your legacy to be like when you finish your career? KD: I just want people to respect how I approach the game, how I approach life and people. I just want to be seen in a positive way. I think my work ethic is going to speak for itself, whoever’s been around me understands what I put into the game, and just life in general; and hopefully I impact people in a positive way everyday. Q: What do you think about the Filipinos’ love for basketball? KD: That genuine love for the game is rare now, to see that deep love for the game. To come here makes you feel optimistic about how the game is pushing forward. You see how big it’s getting, and you see it in the different parts of the world. This is all we envision as basketball players, for everybody to play. It’s nice to see so much enthusiasm for the game. Q: What is the most important message you would like to leave to Filipino ballers in line with the Rise Grind Shine Again theme that you are associated with so closely? KD: If you get up everyday and believe that you can accomplish that’s bigger than yourself, just go for it. There are going to be days you don’t want to, but those days will pass. Stick to the journey, it’s going to be a rough one but it’s worth it at the end. No matter where your route leads you, it can be different for everybody. But once you put everything into it- your mind, love, heart, dedication, you’ll get everything you need. It’s pretty simple after that. Looking back, you’re just thankful to be around one of the best to ever play the game at their prime. 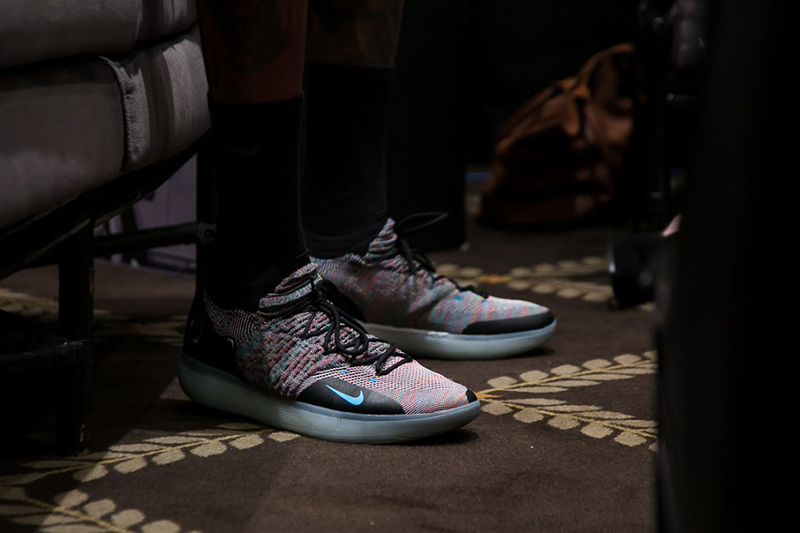 As he was on his way to Taiwan, KD wore the Multicolor 11s, slated to release in the coming weeks.